hazel trees and some pines. 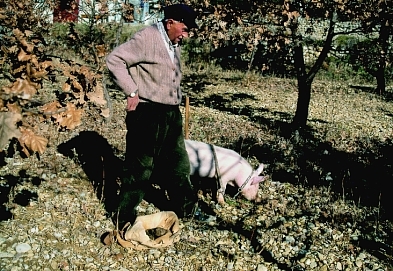 The pig with its powerful smell contributes a great deal to help unearth truffles from underneath trees. Both Provence and Périgord are the main producing areas in France.